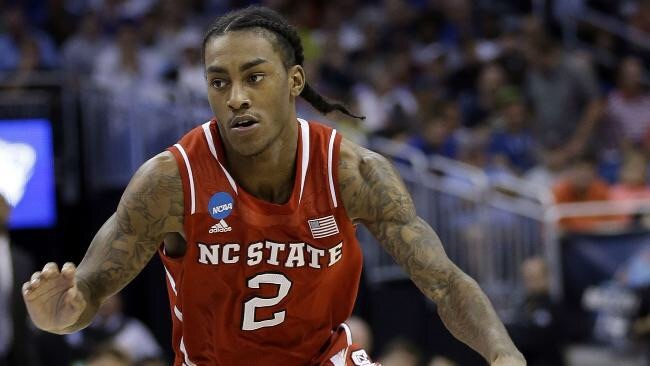 Cat Barber, the lightning quick point guard for the Wolfpack, was the difference in NC State’s 9 point win over the Cards in the Yum! Center earlier in the regular season. The Cards will have to work vehemently to keep Barber out of the lane where he is proficient at dumping down to big men or hitting open shooters on the perimeter. 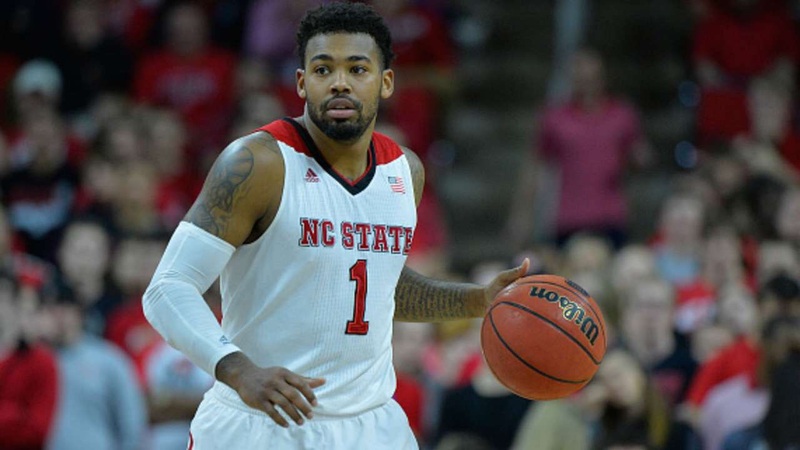 Speaking of shooters…..
Trevor Lacey (above) is another player the Cards will have to contain and keep under wraps on Friday night. Lacey is a guy who can get hot in a hurry and put points up like a video game. Ralston Turner, in addition to Lacey, will also have to be dealt with. Like Lacey, Turner is streaky and when he’s on few guys can outshoot him when under pressure. Louisville’s quest for another Elite 8 won’t be easy but it’s doable for sure. In fact, let’s take a quicj trip down memory lame for one second. It was almost a year ago to the day that a 4 seeded Louisville team entered a Friday evening Sweet 16 game against an 8 seed (Kentucky) in a dome. 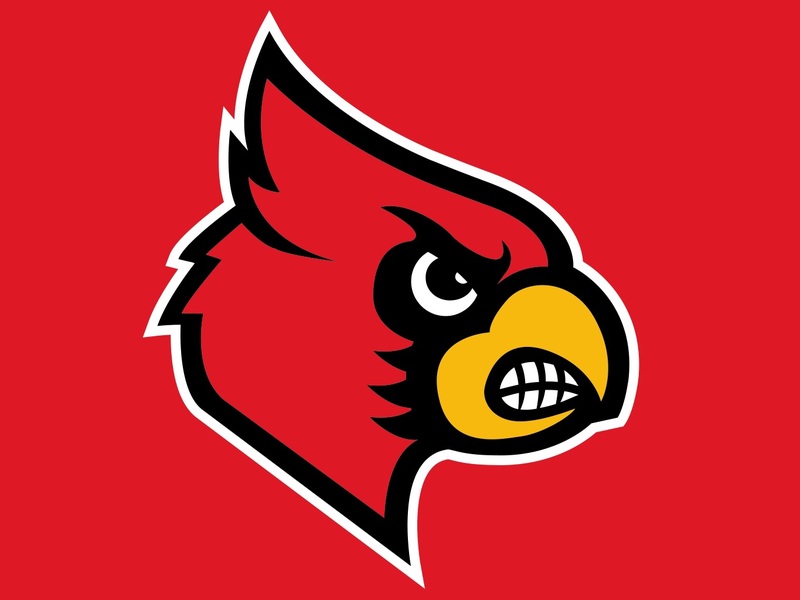 Certainly the pressure tonight will not match that of last year’s in-state rivalry game but the Cards will stay be on the big stage with a very enticing opportunity in front of them……manage to beat NC State and your next game will be just as winnable. Sure, Michigan State is a solid club led by one of the best March coaches in Tom Izzo. Similarly, Oklahoma has a balanced team and Lon Kruger does a tremendous job at having his teams prepared and ready to play. But the bottom line is that the NCAA Tournament is all about match ups and neither of those schools are Virginia. The Cavaliers, despite losing a nail biter to UofL to round out the regular season, would have been a nightmare match up for UofL with a healthy Justin Anderson and a methodical half court offense and a suffocating defense. I look for NC State to double team Terry Rozier a lot tonight which means Quentin Snider & new 1,000 point club member Wayne Blackshear will again have opportunities galore to score. Montrezl Harrell will have done big bodies to contend with but being that he struggled in his last meeting against NC State, I think he will play well. The tournament has overall been a great one this year. I look for tonight’s games to be highly competitive and close. And in conclusion, I am picking the Cards to advance late lot to tonight. They have 3 things in their favor that I believe will put them over the top: momentum, Rick Pitino’s preparation and Mark Gottfried. Go Cards and best of luck to ACC colleague Duke. The conference could potentially place 3 teams in this year’s Elite further cementing it as THE best basketball conference in college basketball. I read this from a slightly different perspective; hoping the Cards can’t stop Cat, Turner , Lacy and company. May the best team win and represent the ACC well in the Elite Eight…and beyond.